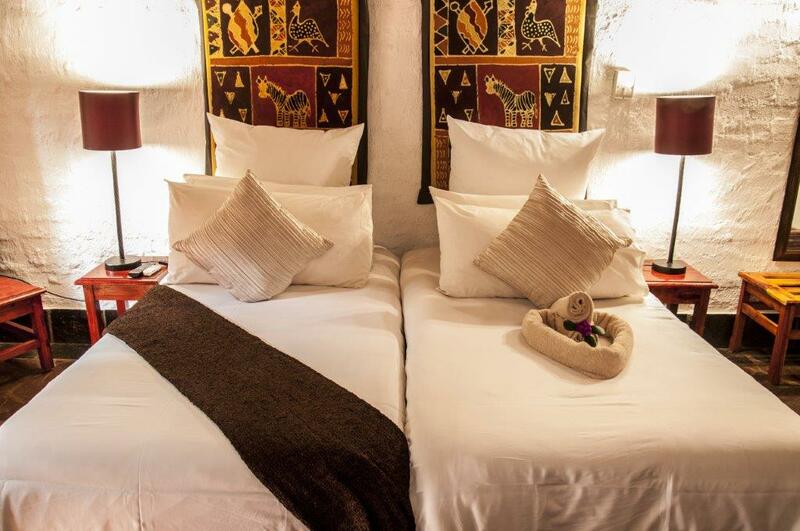 These spacious African themed rooms are equipped with satellite television, tea and coffee making facilities, bar fridges and a fan/heater. 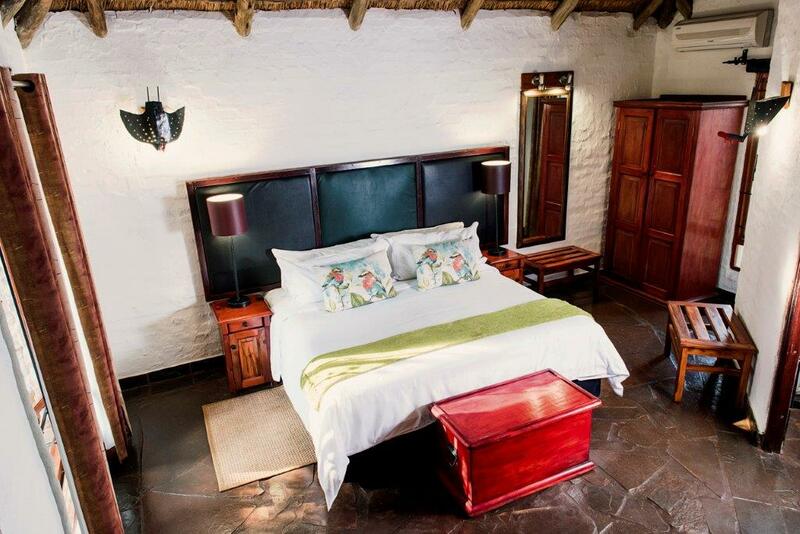 The rooms consist of a comfortable bedroom (with Twin or Double Beds) and an en-suite bathroom with shower. 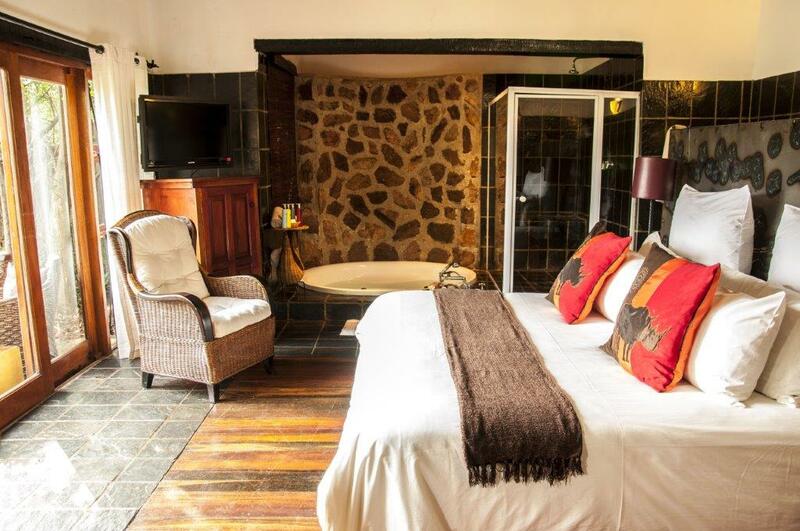 Built in “village style”, amid water features and showcasing authentic African artworks, each room is equipped with satellite television, tea and coffee making facilities, bar fridges and a fan/heater. 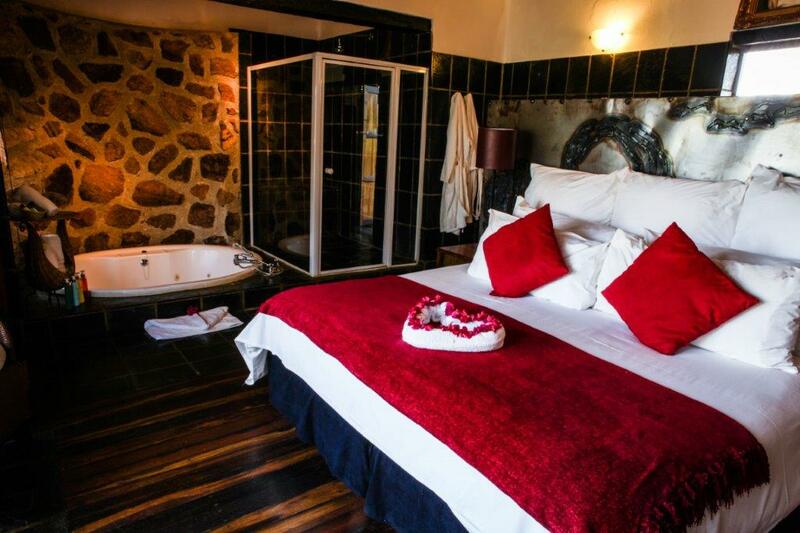 The rooms consist of a comfortable bedroom (with Twin or Double Beds), an en-suite bathroom with a bath and shower. Built in “village style”, these rooms are equipped with satellite television, tea and coffee making facilities, bar fridges and air-conditioning. 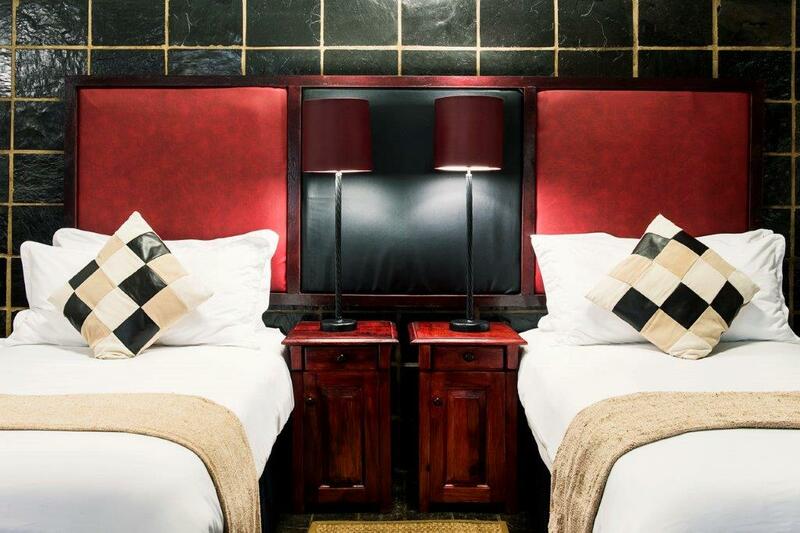 The rooms consist of a bedroom (with Twin or Double Beds), an en-suite bathroom with a bath and shower. Wheelchair friendly rooms available. These upmarket suites overlook the Spa Dam and consist of a bedroom with a king size, sunken jet stream spa bath and pressure shower. 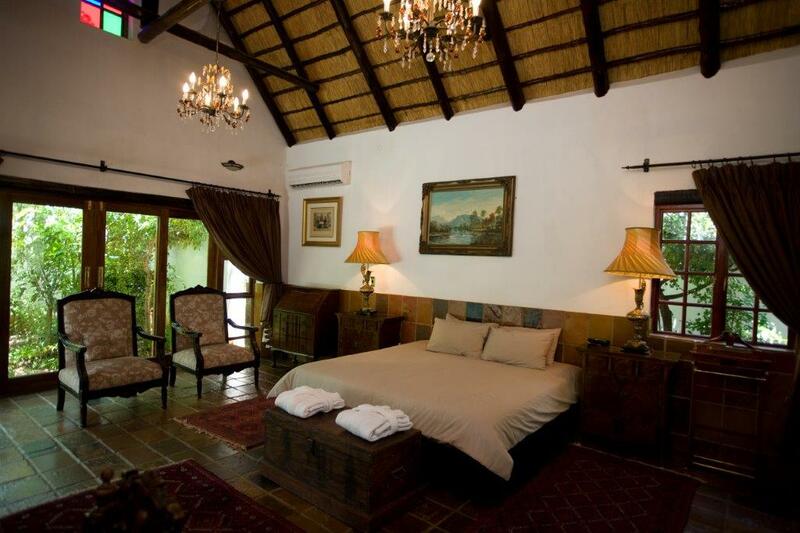 Each suite, is equipped with satellite television, tea and coffee making facilities, bar fridges and air-conditioning. 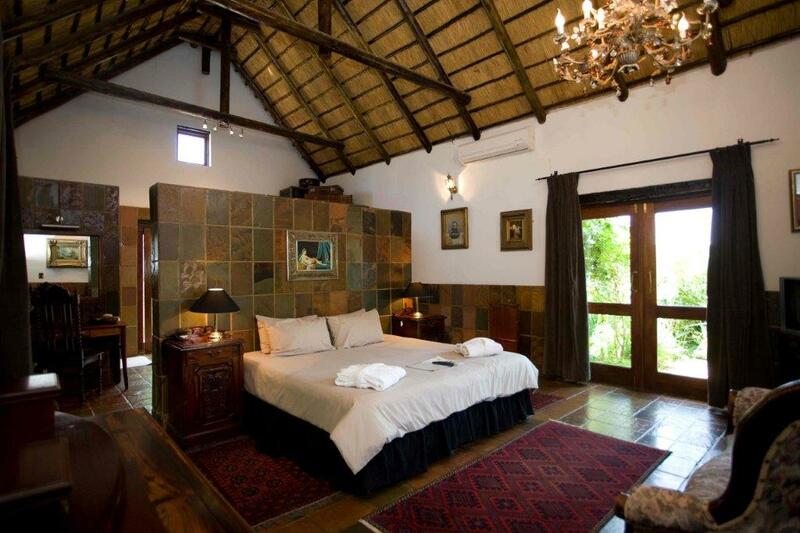 These exclusive suites are a delight of African comfort and style. 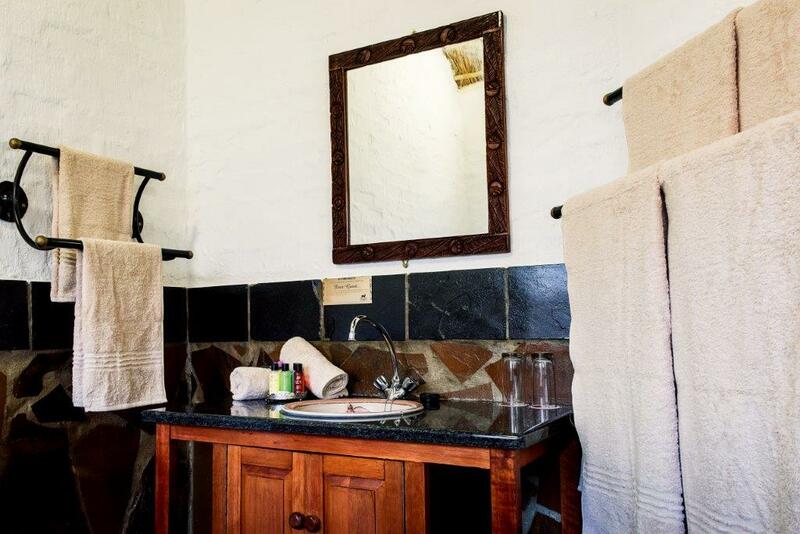 They consist of a private garden, patio/dining area, plunge pool, lounge area furnished with the best African and authentic antique furniture, an en-suite bathroom complete with a sunken bath and an outside shower. Each room is equipped with satellite television, tea and coffee making facilities, bar fridge and air-conditioning. 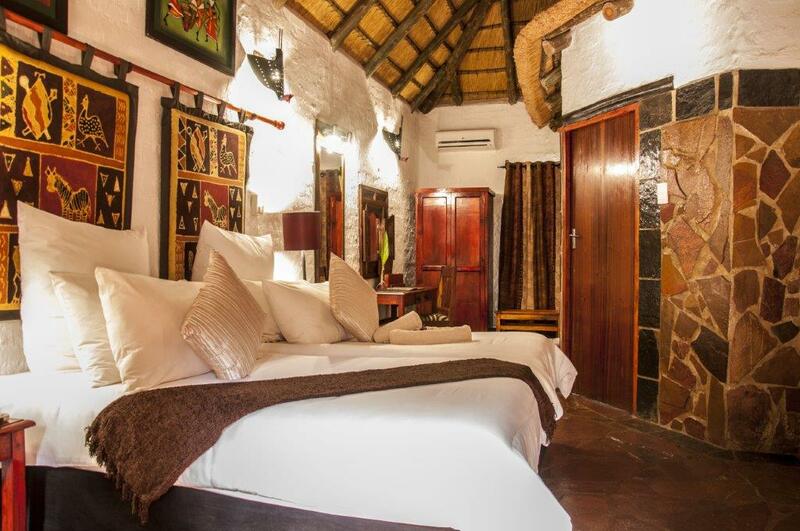 The suite boasts a furnished game viewing deck for your enjoyment! Our Presidential suite is the epitome of luxury, comfort and style. 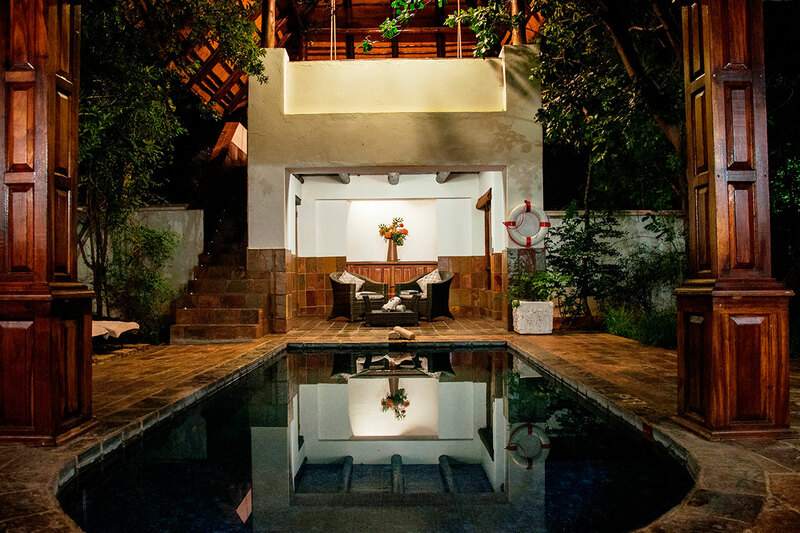 It includes a private garden, patio/dining area, plunge pool, kitchenette, an elegantly furnished lounge area with authentic antique furniture, two en-suite bedrooms each with a sunken bath and an outside shower. 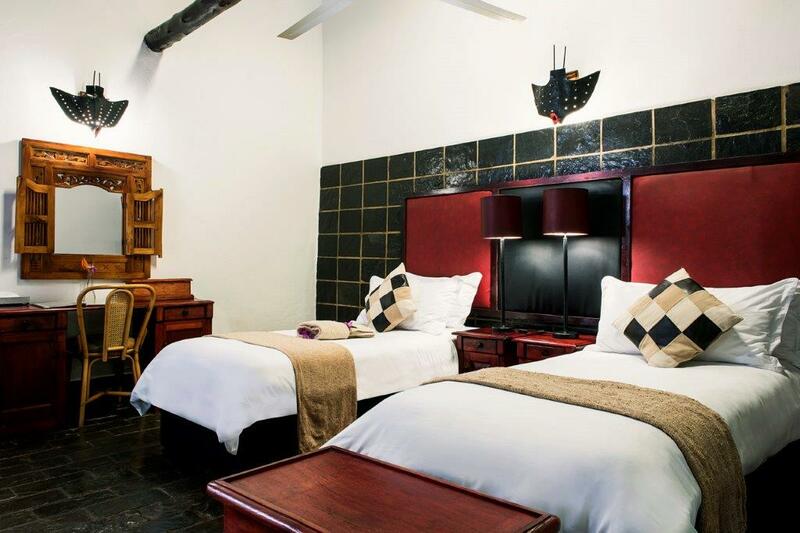 Each room is equipped with a satellite television, tea and coffee making facilities and air-conditioning. 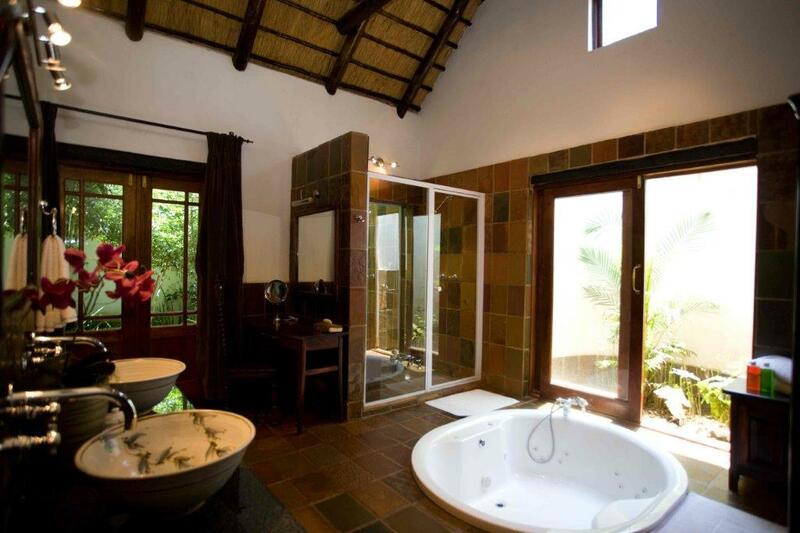 The suite boasts a furnished game viewing deck for your enjoyment!